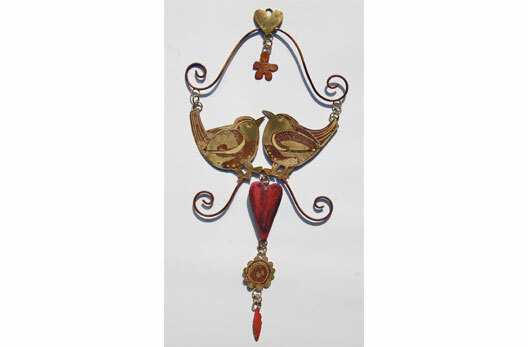 Quirky animal, bird & leafy designs are created into jewellery, decorative metalwork for the walls or garden and unusual greetings cards by Sharon McSwiney. 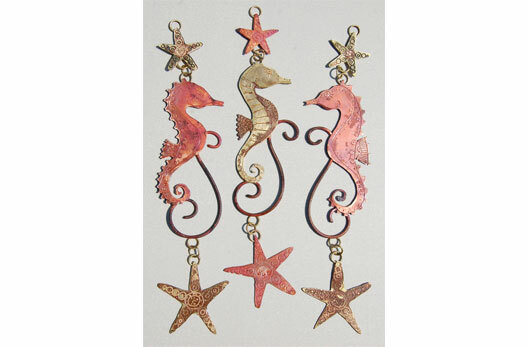 Sharon has been designing & making her work successfully for over 20 years but only moved to Cornwall in 2013 to follow her & her husband’s dream of living & working in St Ives. She has her retail space in the Drill Hall on Chapel Street & makes her work from a separate studio space at home also in St Ives. 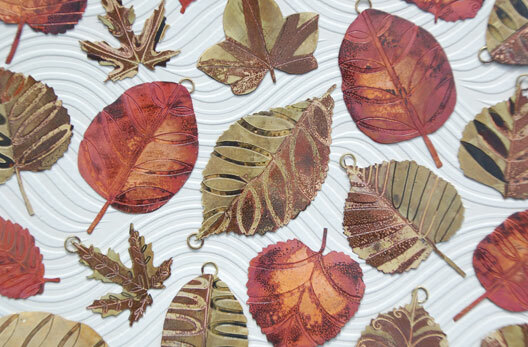 Inspired by nature her decorative wall pieces feature leaves & bird motifs in a rich red copper & golden brass. 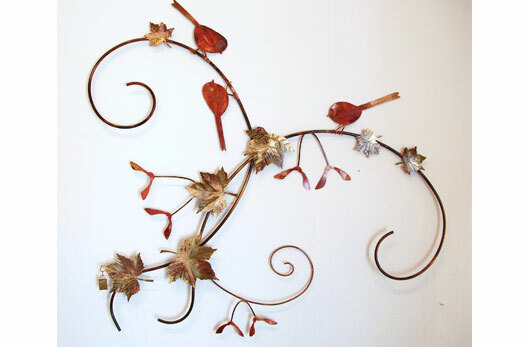 Spirals of copper wire & etched metal leaves form unique metalwork wall pieces or panels linked together making ‘jewellery for the walls’. 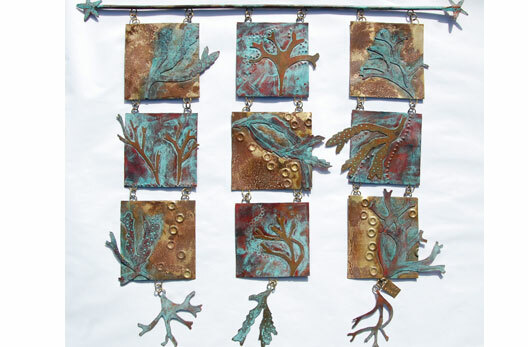 Most recently she has created pieces based on seaweed collected from local beaches. 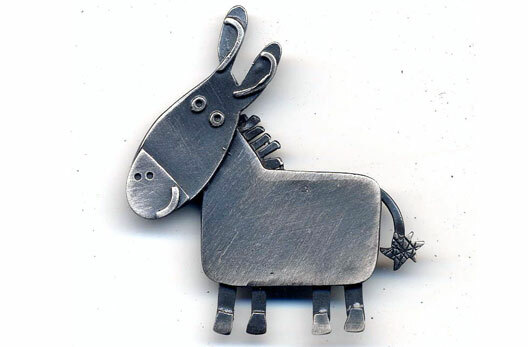 The jewellery, all made from the ‘garden studio’, features humorous & characters such as puffins, hares, foxes, sheep & donkeys. Sharon’s latest collection incorporates seaside limpet shells in silver. 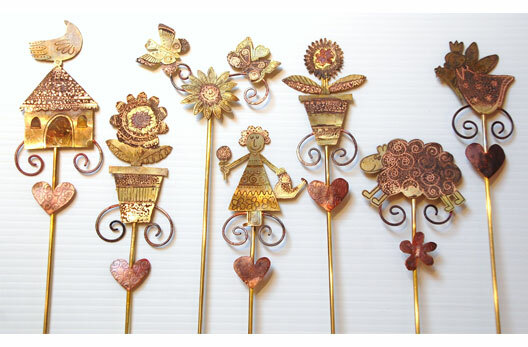 Sharon has exhibited at the Cornwall Design Fair & taken part in Cornwall Open Studios. 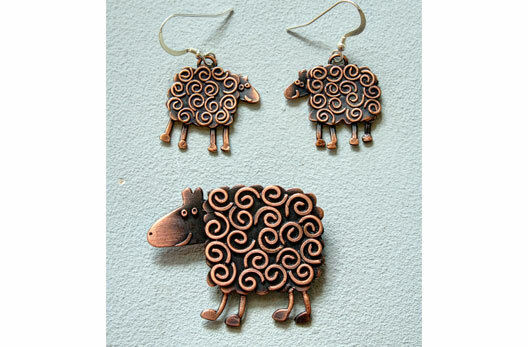 She is a member of the Guild of Ten in Truro & sells via galleries/quality retail events.